As commander of the space station Babylon 5 and later president of the Interstellar Alliance, FedCon 28 star guest Bruce Boxleitner played a decisive role as John Sheridan in the science fiction series of the same name. But before the native American fought his way through 88 TV episodes and various feature films on Babylon 5, he gained his first SF experiences with the role of the title character in the Disney cult classic Tron (1982). Also for the sequwel Tron: Legacy he slipped back into this role in 2010. Other genre highlights of Bruxe Boxleitner include roles in series such as The Outer Limits, Heroes or the animated series Tron: The Uprising. The busy actor has appeared in more than 110 film and television productions. Among them are classics like Gunsmoke, Hawaii Five-0 (the original series) and of course his leading role in the popular series Scarecrow and Mrs. King (1983 – 1987) alongside Kate Jackson. As an experienced rider he was also represented in numerous western productions. 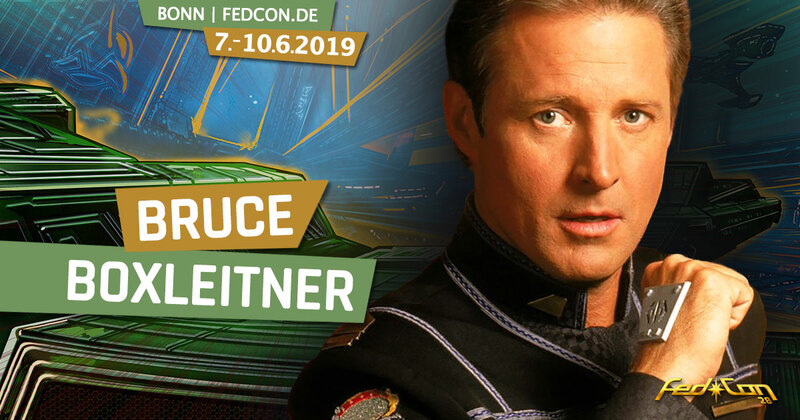 During his career Bruce Boxleitner has worked with many Hollywood stars and we are sure that he has a lot of exciting stories in store for us at FedCon 28. So, it’s best to secure your tickets in the Ticket-Shop right away.